If you download Left to Survive, you’ll have two major threats to face, zombies and human survivors. 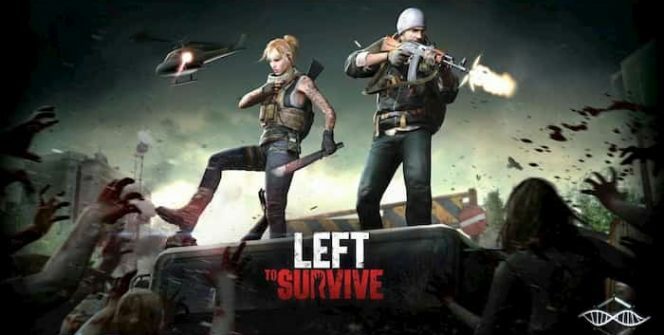 Left to Survive is a fast paced survival shooter, in which you’ll need to build a base camp to defend in the midst of a zombie apocalypse. 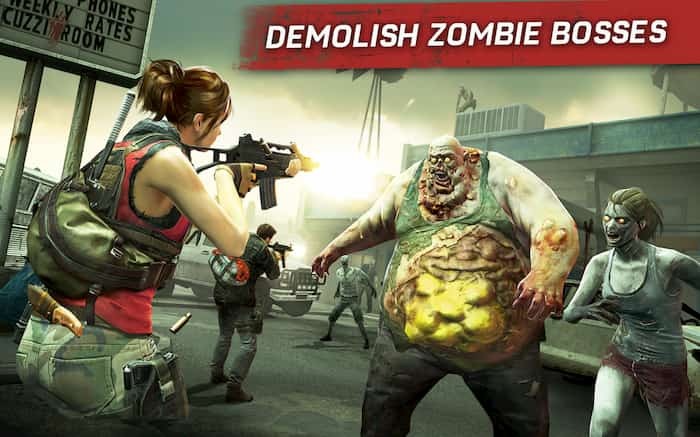 To discover a few reasons why it’s well worth giving Left to Survive: Zombie Shooter your best shot, simply continue reading. 1. You can take part in challenging duels. As Left to Survive is a multiplayer game, you’ll be able to take part in live, one on one duels. Alternatively, if you’d rather fight with a buddy, you’ll also be able to compete in duels as a duo. 2. You’ll be able to fight advanced zombie bosses. If you assumed that zombies are completely brain dead think again. If you’re brave enough you’ll be able to fight zombie bosses that will have unique abilities. As an example, you’ll come across zombie bosses who are wearing protective armor as well as zombie bosses which can jump several feet at once. In order to destroy Left to Survive’s zombie bosses you’ll need to implement clever strategies to take home valuable loot. 3. You can build a thriving base camp. In order to increase your base camp’s man power and to ensure that your base camp is well protected from outside threats, it’s crucial to try and locate and recruit fellow survivors. 4. You can fly a helicopter to destroy your enemy’s bases. If you don’t want your base camp to be raided and looted by your enemies, who will be just as desperate for precious resources as you are, make sure to fly your helicopter to your enemies bases. As you’ll be able to drop bombs directly on their bases. Better yet, each time you successfully attack a rival base, you’ll be able to raid and loot the base in question for supplies. 5. There are frequent tournaments to sign up for. Left to Survive frequently hosts new tournaments, which offer amazing prizes. Examples of some of the tournaments which you’ll be able to enter include solo player tournaments and group tournaments. So no matter whether you prefer playing in single player or mode or in co-op mode, you’ll be able to find a suitable tournament. 6. You can annihelate hordes of zombies. As Left to Survive features powerful weapons such as military grade firearms, you’ll be able to lay waste onto hordes of zombies. So if you’d love to kill 50 zombies with a machine gun, you’ll love playing Left to Survive for PC. 7. You’ll be able to upgrade your base as you acquire more resources. One of the reasons why you should try and scavenge and loot as many resources as possible is that you’ll be able to use your resources to upgrade your base camp. Upgrading your base camp is important as the flasher and safer your camp is, the more survivors will be attracted to join your new community. 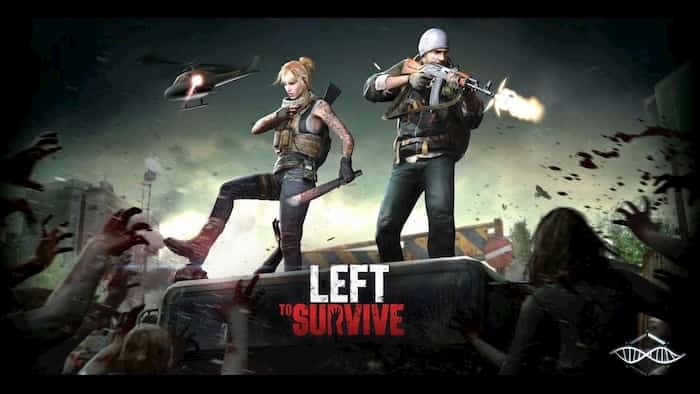 So if you’re ready to take aim and shoot zombies and human foes, do yourself a huge favor and download Left to Survive. Sometimes when playing Left to Survive, bluestacks ask you fee to pay but gives you option to download some apps. Every time it asks you just select “Install apps” and continue using it free. I hope you enjoyed this article, please rate and share. If you have problems running Left to Survive on your desktop or any other issues, leave a comment below.